This is a part of the Tessa series. Tessa is at the farm to go horse riding. She is looking for a horse of her own. Help her to find a beautiful horse. There are many to choose from. You can change the horses the way you want. Give them different colors and tails. 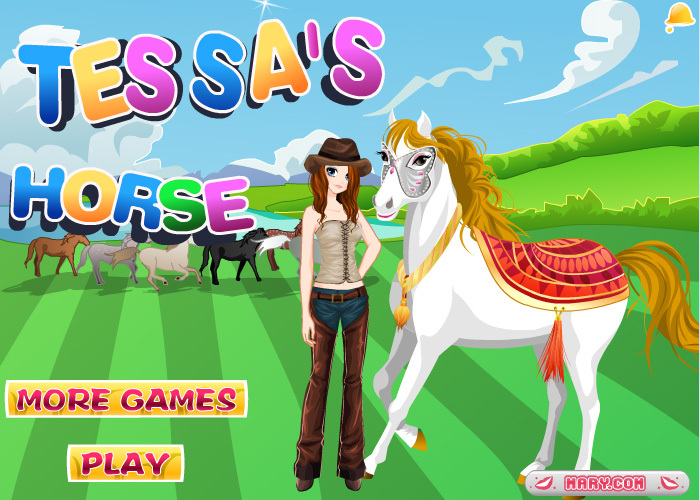 After you have found the right horse, you can give Tessa a makeover and find the right clothes for her to wear. Have fun!